The History of New Hampshire's Knife Rights Movement - Miracle in New Hampshire! 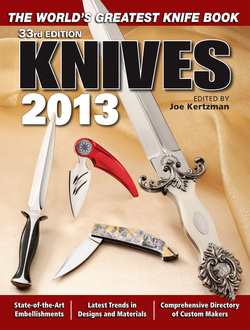 Knives 2013 has just published a great article all about our knife rights victory in New Hampshire. To download the article click HERE. "Imagine a State in America where ANY knife (regardless of blade length, design or operation) may be freely bought and sold (even no sales tax), owned, possessed, carried open or concealed, transported, displayed, collected, made, manufactured, produced, given, loaned, acquired, transferred, bequeathed, or inherited under State law with the only exception being possession in a courthouse and possession by felons. Imagine further that such a State accomplished this feat by repealing its knife laws which had been on the books for over 50 years that had banned switchblades, daggers, dirks and stilettos. Now consider that not one of its 425 politicians in the State’s Democrat controlled government (400 House members with Democrat Majority, 24 Senators with Democrat Majority and 1 Democrat Governor) opposed the repeal. Then imagine that same government unanimously voting again to prohibit all local towns and municipalities from passing or enforcing any knife laws. Believe it or not, on May 18, 2010, a unanimously passed HB1665 was signed into law which repealed New Hampshire’s knife laws and on June 9, 2011, a unanimously passed HB 544 was signed into law which preempts New Hampshire cities, towns or political subdivisions from passing or enforcing any knife laws. This is the story of how a few dedicated activists helped make it happen and how you can do the same in your state." WE WON AGAIN! ITS LAW! June 9, 2011: New Hampshire Governor John Lynch has signed into law the Knife Law Preemption Bill, HB 544. The law takes effect in 60 days. This is the second UNANIMOUS KNIFE RIGHTS VICTORY in NH. 425 legislators and NOT a single vote against it in the House or Senate. It takes effect in 60 days. Now NO city, town or political subdivision can ban the ownership, possession, sale or carry of knives. New Hampshire is NOW the freest knife place on earth! HB1665 which took effect immediately! New Hampshire now has absolutely no knife laws which stop law abiding citizens from buying, selling, owning, carrying, possessing, transporting, collecting, or lawfully using any type of knife! New Hampshire truly lives up to its motto of "Live Free Or Die." We all owe a debt of thanks to the New Hampshire "Citizen Legislature" who unanimously passed the repeal and to Governor Lynch for signing the HB1665 into law! NEW HAMPSHIRE NOW PAVES THE WAY FOR OTHER STATES TO RESTORE KNIFE RIGHTS TO THEIR HONEST CITIZENS. IT IS A GREAT DAY FOR LIBERTY!